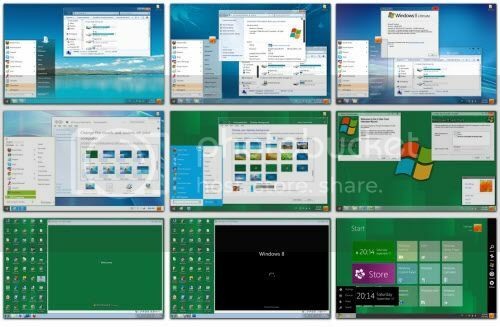 This skin pack lets you transform Windows 7 to Windows 8. Includes an installer as well as an uninstaller. Best to create a system restore point first. After uninstalling it, it might be a good idea to run sfc /scannow. I like this.... very much... i have tried it and i should say i was impressed..